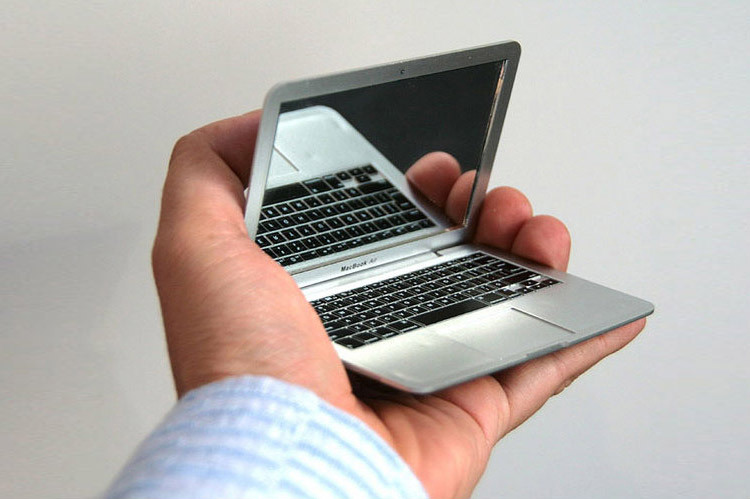 This mini MacBook is a compact mirror that you can use for makeup or just checking out your sweet gamer bowl cut. 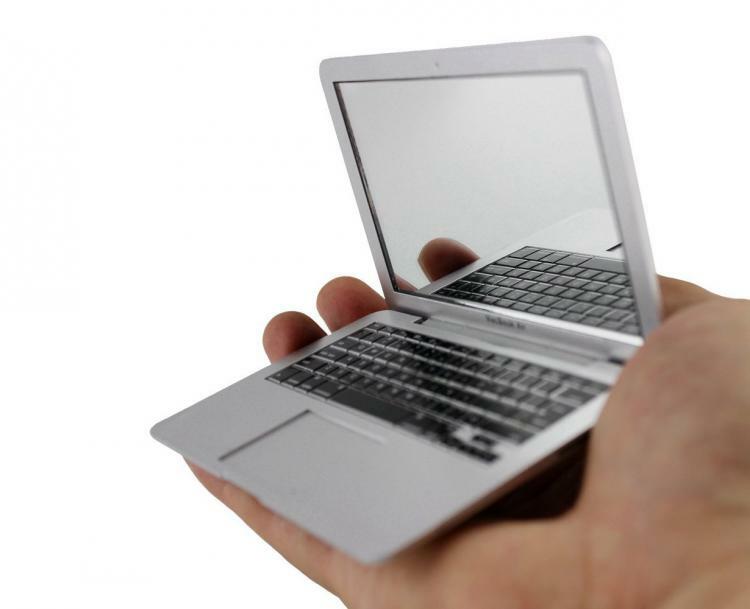 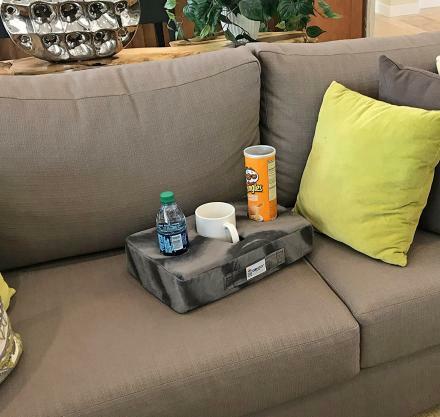 The compact is shaped to look like an exact replica of a MacBook Air and is so small you can slide it right into your pocket, purse, hand bag, man purse, backpack, jacket pocket, wallet, or whatever your preferred way of mirror transport is. 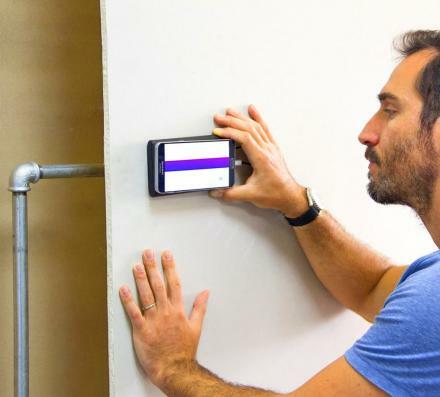 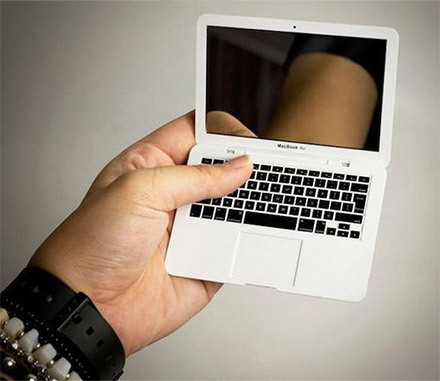 Although the device is not an actual functioning computer, the mirror allows you to view yourself while looking like a true Apple fanboy. 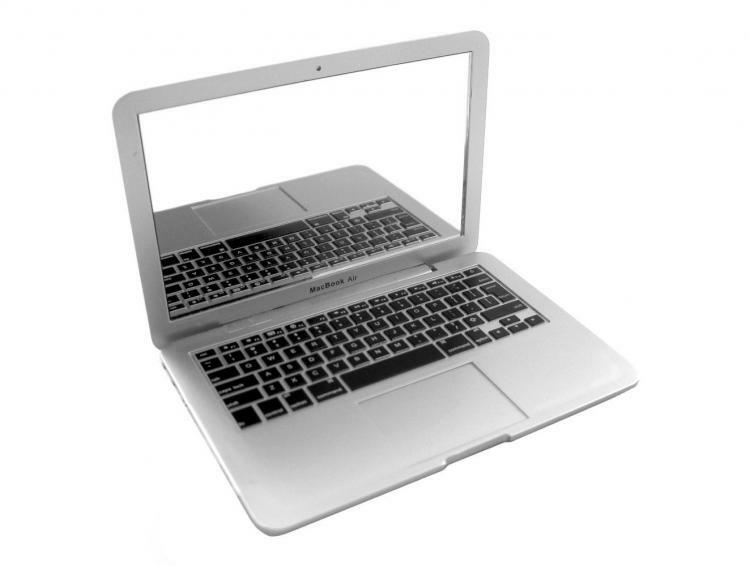 The mirror even has what look like all the regular ports that a MacBook air would have, including USB ports, thunderbolt ports, etc. 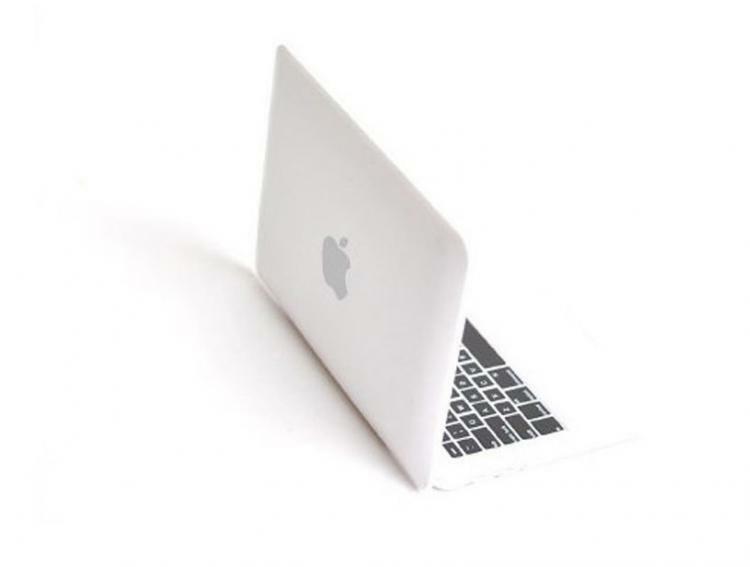 Plus the Macbook mirror makes for a perfect gift idea for any geeky girl who wears makeup, any Apple fanboy/fanwoman who just has to have every Apple product and accessory, or someone who really wants a MacBook Air but doesn't have the thousands of dollars to shell out to get one. 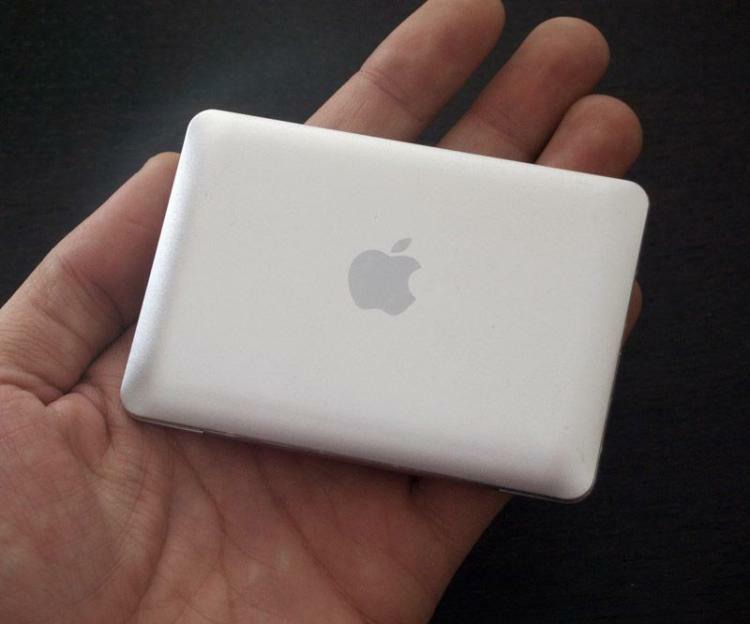 The MacBook Air compact mirror is made from plastic and glass, comes in white or silver colors to choose from, comes in a small box that looks quite similar to the actual box that a MacBook air would come in, has a working hinge on it that allows the mini laptop mirror to open and close, and measures 3.74 inches wide x 2.5 inches long. 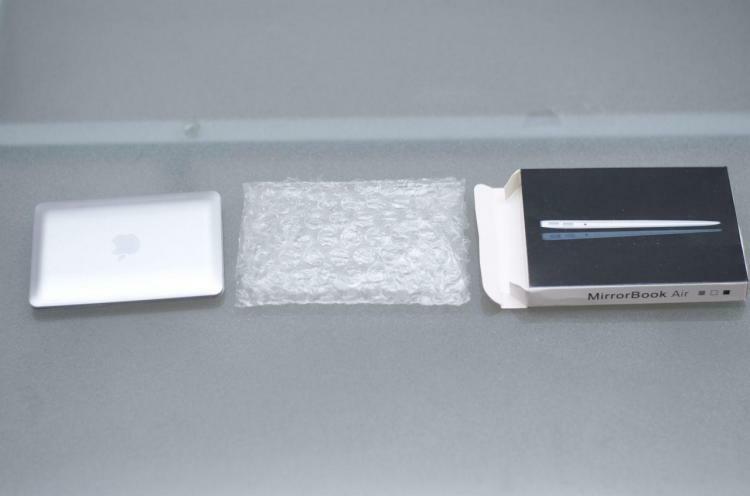 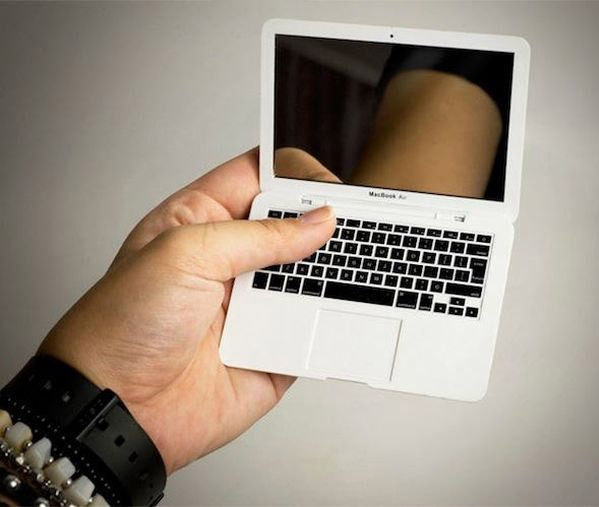 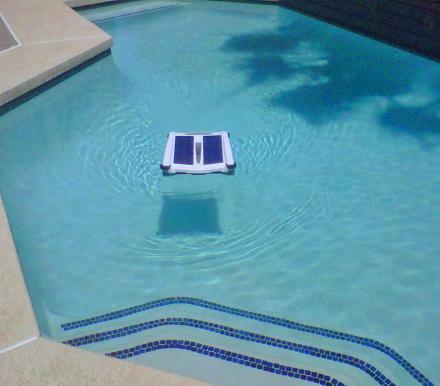 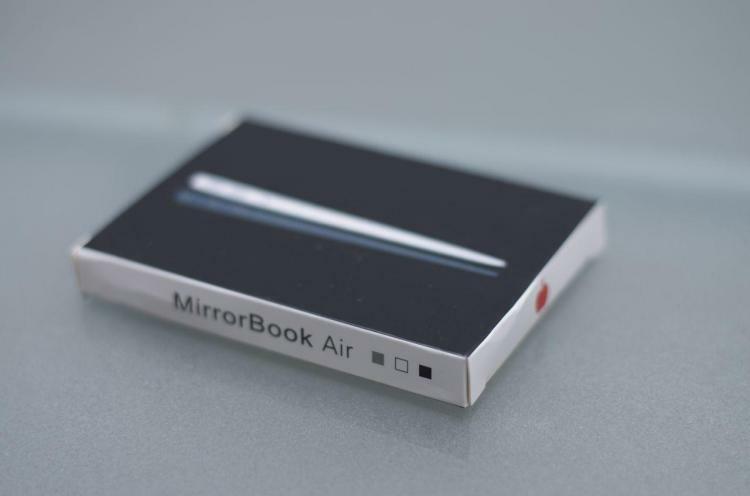 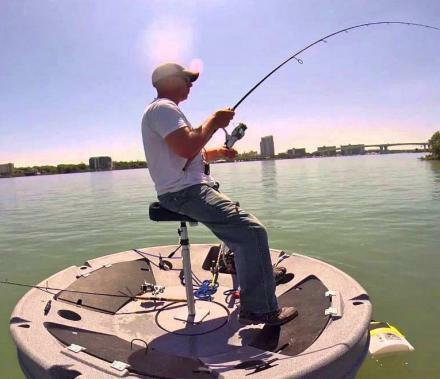 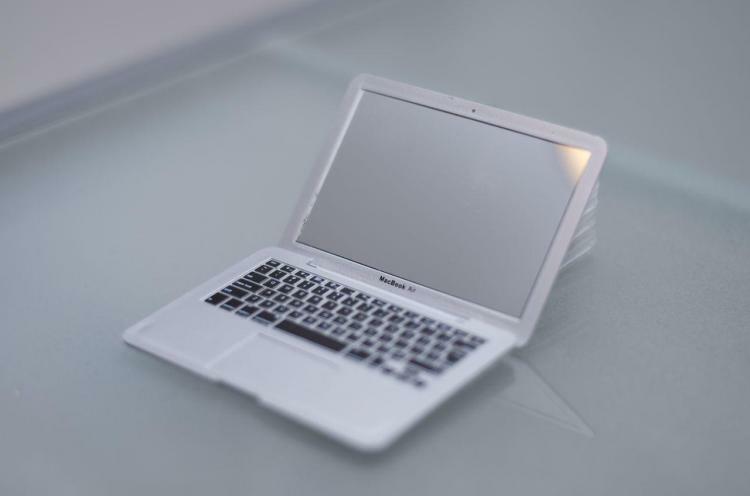 Check out the mini Macbook Air mirror in action via the video below.